Unfortunately A Day at the Races did not attract sufficient bookings and has been cancelled. In this newsletter we have the announcement of the Spring Lunch on Thursday 28 March - please get your bookings in to Gary Wooding as soon as possible. 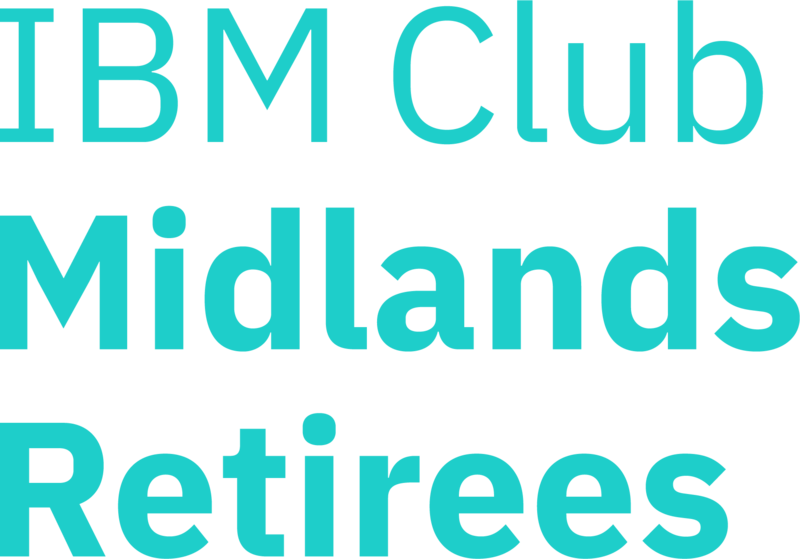 The 2019 IBM Retirees Club(Midlands) AGM will be held on Monday 4th March 2019 at the Royal British Legion Club, 1611,Warwick Road, Knowle at 10.30am. Coffee will be served from 10am and there will be a light buffet lunch. If you have not already done so, please send an email confirming your attendance (with or without partner) to Dave Compton	(dave@compton-family.eu) as soon as possible so that numbers for catering can be estimated. The Club can only continue because members are willing to help run the Club. Can you give a little time to join the Committee? Please send nominations for Officers and Committee or any items to be raised under Any Other Business to me as soon as possible. Click here to see the list of the events which are provisionally planned for 2019. The following is the status of those events which have been announced. Thursday 28 March Spring Lunch. See below. Wednesday 10 April A Day at the Races. Cancelled due to insufficient interest. Tuesday 7 - Saturday 11 May 2019 Sightseeing and Rambling Trip to Derbyshire. Cancelled due to insufficient interest. Thursday 30 May Pete’s Place. Thursday 13 June Northamptonshire Gardens and Hall Visit. See below. Sunday 1 - Tuesday 10 September 2019 Rioja wine region of Spain. Open for bookings. See November newsletter. Booking Conditions. Click here to read the terms and conditions. Members should also be aware of Public Liability Insurance provided by the Club. Photographs from Past Events. Click here or here to view a selection of photographs from past events. I am pleased to announce that this year’s Spring Lunch will be held at the Nailcote Hall Clubhouse on Thursday 28th March. The Clubhouse, which is adjacent to the hotel, has its own car park and entrance, which is just down the lane from the hotel — there is no car access to the Club House from the hotel. Our post-luncheon speaker is Stephen Wass, who will tell us how archaeology has changed our understanding of historic gardens over the past few years. The price for this event, which includes a welcome drink, 3 course lunch, and rounded off with tea/coffee, is dependent on the IBM subsidy, and the number of attendees, and ranges from £27 to £30 per member and first guest. If you pay by cheque, then please leave the amount blank and include the phrase “Not Exceeding £30” and I will insert the correct amount when it is known. If you pay by bank transfer then please pay the £10 deposit requested on the booking form and I will let you know the balance when known. The fixed price for all second guests is £34 — which reflects the rather miserly subsidy we are now receiving. Welcome drinks will be available from 12:00 and we expect to sit down at 13:00. Please make your menu choices from the following sample menu, which could change, and also note that two of the courses attract an additional charge which, if selected, will be added to the above-mentioned prices and is not subject to any subsidy. Please complete the attached booking form and return it to Gary Wooding as soon as possible. Refer to the document Event Booking Conditions for Terms and Conditions. 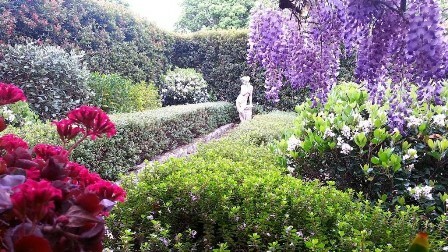 Arrive Coton Manor Garden - explore and enjoy the 10 acre garden. A 45 minute guided tour of the house will be included at a time to be agreed. Return to IBM Warwick. ETA 6.30 p.m. 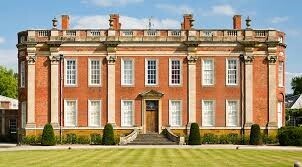 Cost will be £35 per person to include the coach hire, entrance to both gardens and to Cottesbrooke Hall. A subsidy when known will reduce this price for members and first guests. OR email your booking form to ray.chris.bradshaw@gmail.com . Information about the Rambling Group for 2019 is not yet available. Please contact Terry King, terryaking@hotmail.com for the latest information. The IBM Retirees PC and Technology Group meets every alternate month for a lively discussion on PC and technology topics in the digital age. There are usually one or two specific presentations given by members or by outside speakers, which the members of the Group have requested. We try to provide a reasonable balance between PC “techie” topics, new technology, and topics of a more general nature such as digital television, Internet telephony and digital photography. So whether you are a newcomer to the PC or a more experienced user, we hope you will find something of interest. You are very welcome to join us. Go to meeting dates and other information. We all know Midlands Retirees who are undertaking a range of activities to raise money for good causes. The Committee have therefore decided to offer this space to advertise such initiatives and other events which may be of interest.